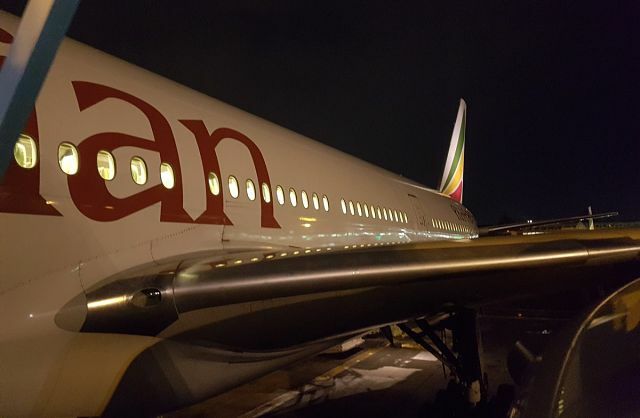 New York (TADIAS) – Ethiopian Airlines is pushing back against recent U.S. media reports that sought to cast doubt on the pilot training standard of Africa’s oldest and best-managed airline. In the wake of the March 10th crash of Flight ET302 — that is hauntingly similar to the tragedy involving another Boeing 737 Max 8 in Indonesia a few months prior — Ethiopian airlines has expressed its disappointment and frustration that U.S. mainstream news outlets, including The Washington Post and The New York Times, are seeking to shift blame to Ethiopia’s flag carrier and its award-winning and longstanding pilot training program. It is worth noting that Ethiopian airlines has a 75-year history as a customer of Boeing. All B-737 MAX airplanes have since been temporarily grounded globally while investigators continue their probe on the cause of ET 302 tragic crash. Ethiopian Airlines also criticized The New York Times for its headline that declared: Ethiopian Airlines Had a Max 8 Simulator, but Pilot on Doomed Flight Didn’t Receive Training. Ethiopian Airlines had previously emphasized that the pilot in command of ET302, Captain Yared Getachew, was an experienced pilot who had accumulated 8,100 hours of flying time.